Engineer Dr. Mashauri Adam Kusekwa was born on 27th October, 1962 in Tanzania. He is a lecturer in electrical engineering department at the Dar es Salaam Institute of Technology (DIT) in Dar es Salaam. He received his PhD in Power System Engineering (Power System State Estimation) from Cape Peninsula University of Technology (CPUT) in September, 2010, and his M.Sc. degree in Electrical Machines and Apparatus from Higher Institute of Mechanical and Electrical Engineering, Sofia, Bulgaria in July, 1991. He teaches electrical machines at undergraduate level, and energy management and research methodology at postgraduate level. In addition to teaching, Dr. Kusekwa is an electrical consulting engineer and a researcher. His area of research interest is renewable energy technologies, particularly the solar energy technology and power system state estimation. He has published widely in renewable energy, electrical load flow and power system state estimation. Electricity generated from solar energy has been widely applied worldwide. In the majority of rural areas in developing countries, particularly Sub-Saharan Africa, there are reasons why the use of solar energy is so necessary; firstly, appropriate climatic conditions in these countries; secondly, delayed electricity supply projects in these rural areas. Producing electricity from the sun using photovoltaic (PV) systems has become a major industry worldwide. But designing, installing and maintaining such systems requires knowledge and training. And there have been few easily accessible, comprehensive guides to the subject particularly in developing countries. Hence, this book will fill this existing gap. The book contains a detailed description of Solar PV power system. 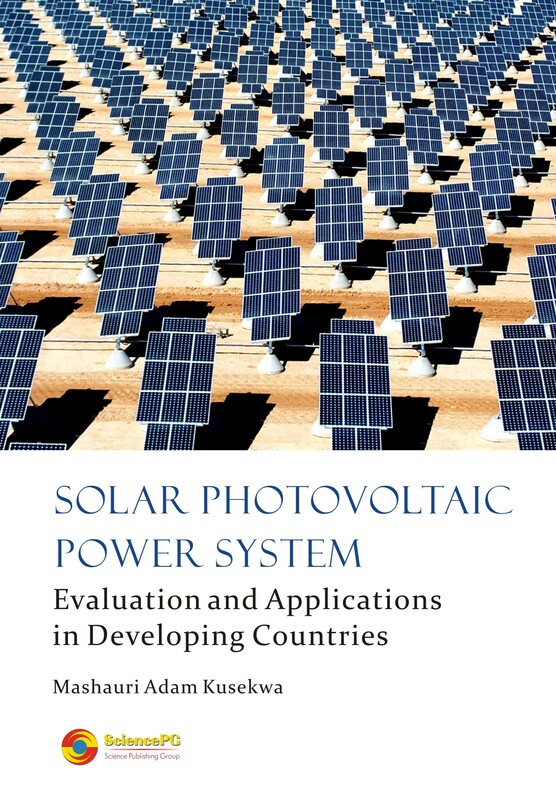 It includes chapters on designing and sizing photovoltaic systems that can be used for water pumping for irrigation, drinking and livestock watering.